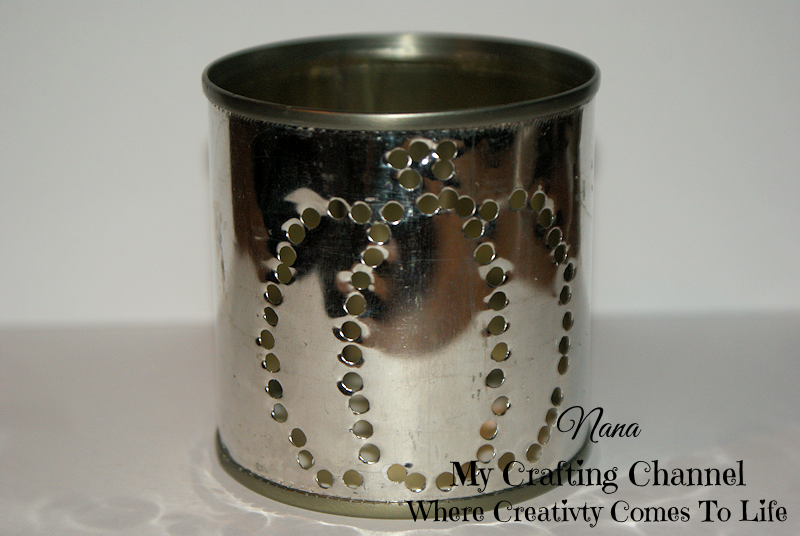 My Crafting Channel: 2 Creative Chicks Challenge #19 "Use Any Tin Can" & Silhouette Challenges "Holiday Home Decor"
2 Creative Chicks Challenge #19 "Use Any Tin Can" & Silhouette Challenges "Holiday Home Decor"
For this challenge I made a couple of Punched Tin Cans which fit both challenges. I have been wanting to try this for sometime. I used a couple Rhinestone files and a ghost card that I took the ghost and made a Rhinestone file, from the Silhouette Store for the designs and punch the holes with the Crop-A-Dile II Big Bite Punch. Hop on over and link up today. 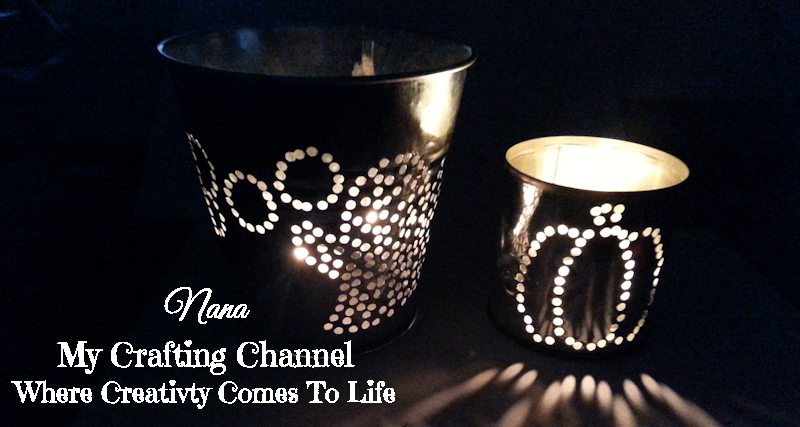 What a great project so super fun love these with the tea lights. Oh my goodness girl, you come up with the most amazing idea's! I love this...it looks super cool lite up! Beautiful Home Decor piece! WOW, these are amazing! I love how bright the light shines threw. WOW! Amazing, Creative, Cool, Festive and Super FUN!!! LOVE this! WOW never seen a more beautiful can...stunning!! Those look amazing and are perfect for Halloween! 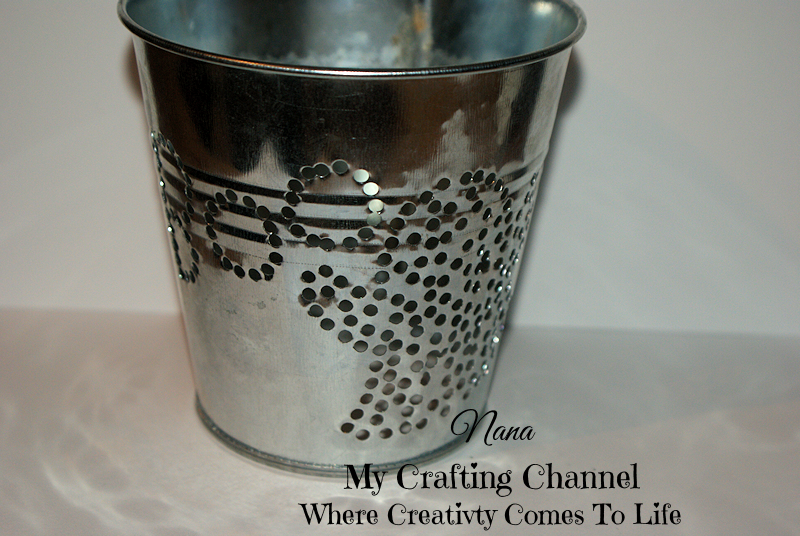 Thanks for joining our linky party over at Craftin Desert Diva's! Wow! What an amazing project! thanks for joining our Craftin Desert Divas linky party!